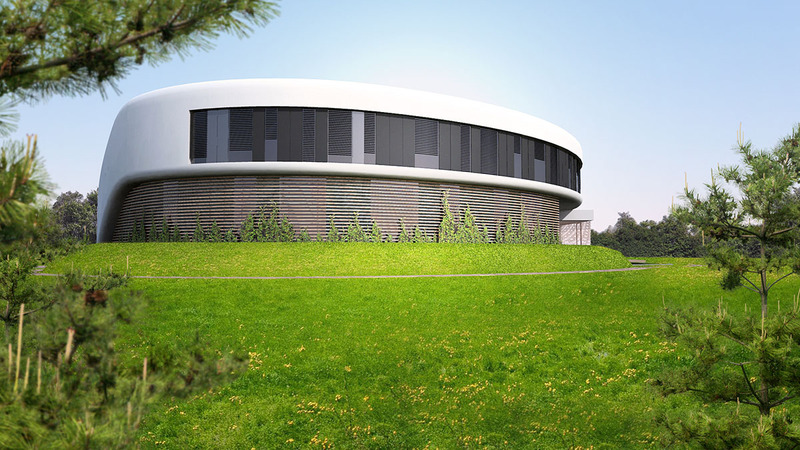 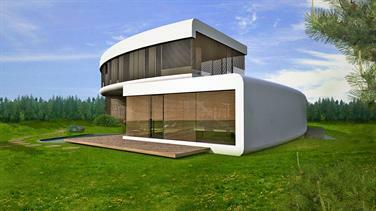 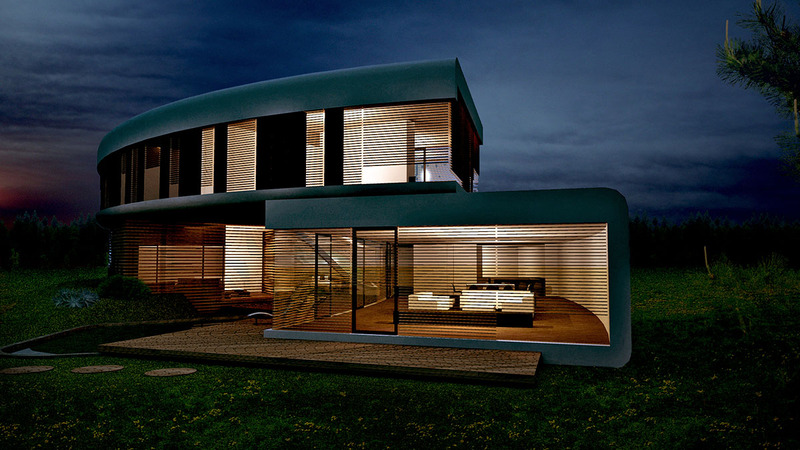 Our client required us to design a circular shaped house. 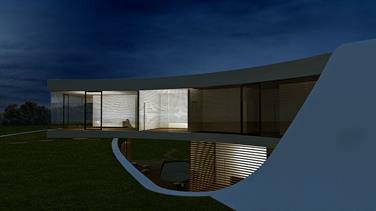 In the central area of the house we created a small atrium accessible from all rooms at ground level. 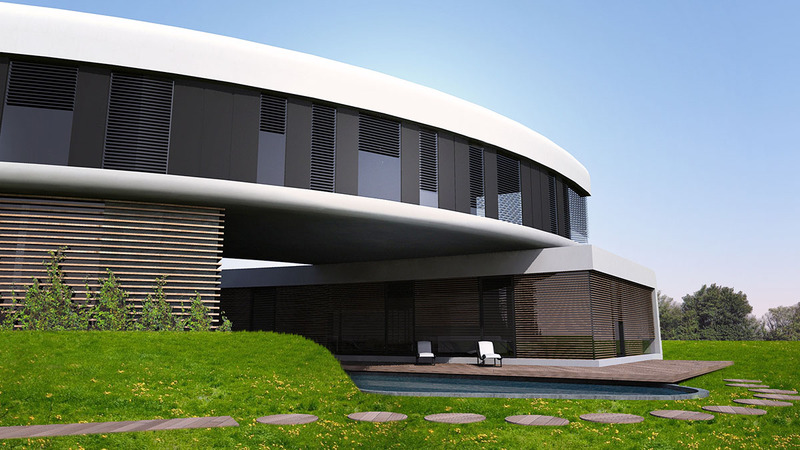 The atrium acts as an outdoor relaxation area with pool. Part of the roof is used as a green terrace.